Towpaths, no cars, no hills ! Here, the river Oust flows majestically between granite cliffs providing an amazing spectacle ! 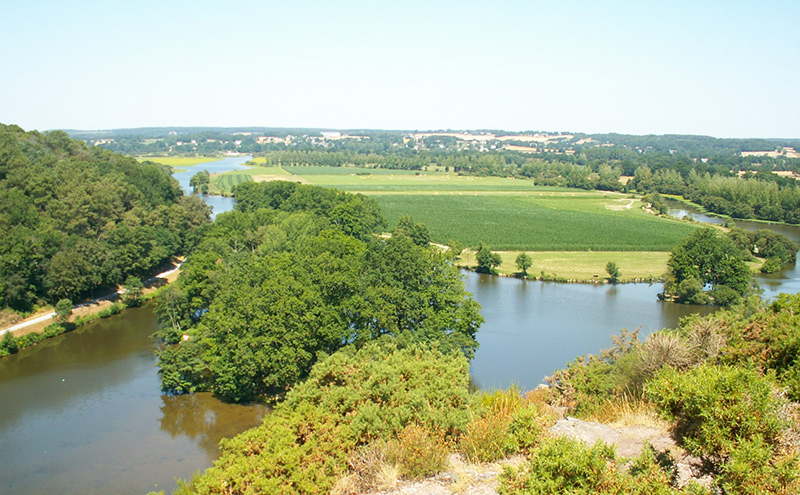 This famous water gap (the geographical term) is a remarkable landmark of inland Brittany. The rocky cliffs on both sides of the valley are famous rock-climbing venues, where qualified instructors from Escapades Verticales and the Fédé accompany intrepid climbers on secure ascents, so why not have a go ! In addition, the Défis de l’Oust starting from Redon, are a marvellous opportunity for family fun.